Not too long ago there was a hat competition at an architects’ gathering. Local architect Murray Whisnant decided to make a statement with the one he designed and wore – literally. 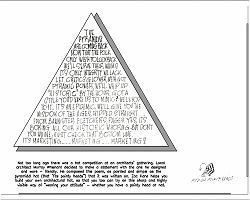 He composed this poem, as pointed and simple as the pyramidal hat (that “fits pointy heads”) that it was written on. Zac Kane helps you build your own architectural hat, so that you too can try on this sharp and highly visible way of “wearing your attitude” – whether you have a pointy head or not. 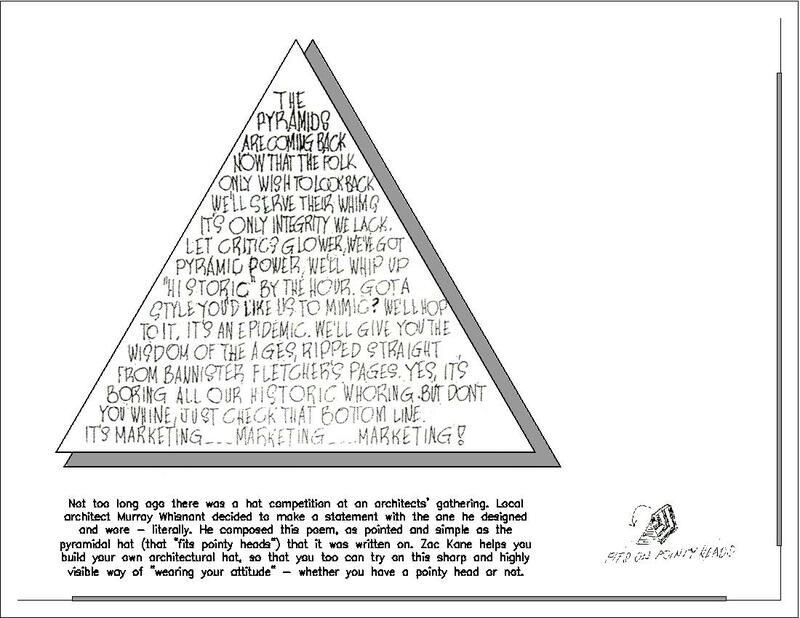 Get Your Own Pyramid Hat!